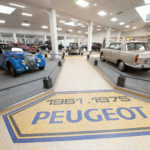 Car buyers usually wait until they can drive a new model before signing on the dotted line but on the same day the all-new Peugeot e-208 made its public world debut at the Geneva Motor Show, Neal Street paid a deposit at Truscott’s Peugeot Barnstable to secure one of the very first vehicles to arrive in the UK. He wanted to be at the front of the queue and placed his order before official order books opened. The Peugeot RCZ is one of the best used bargains we can recall. 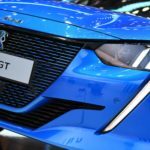 With used prices starting as low as £4,400, that’s incredible for a stunning sports coupé with 161bhp and a double bubble roof that’s the stuff of concept cars. After the somewhat frumpy previous-generation 308, the latest car is a breath of fresh air and more than capable of holding its own alongside the VW Golf. It was also one of the first Peugeots to adopt the controversial i-Cockpit dashboard, with a tiny steering wheel and high-set instruments, and it works better here than in the smaller 208. 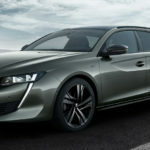 Peugeot has announced the launch of the 508 SW First Edition, a stylish limited run version of the all-new Peugeot 508 SW at the Paris Motor Show. Based on the high-end GT finish, it is available to order from today. 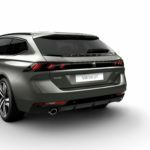 Peugeot has announced the launch of its new Plug-in Hybrid petrol engine range. 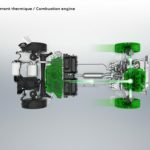 The new engines are available for the Peugeot 3008 SUV, and all-new Peugeot 508 and 508 SW. Peugeot’s new HYBRID engines give Peugeot drivers the chance to experience new driving modes in their cars, including the ZEV 100% electric mode, 4-wheel drive mode with the HYBRID4, Sport mode, Comfort mode or Hybrid mode. 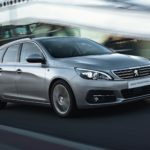 The Peugeot 308 has been upgraded with a new Tech Edition trim level, making use of a wide range of technology and advanced driver assistance systems. The specification, which carries a £1,450 price premium over existing Allure trim, includes a Drive Assist Pack, Safety Pack and Peugeot Connect SOS and Assistance.